As most teachers around the country head down the final stretch, this is the time when you are tempted to "check it in, "let things slide," or "just sit back and relax." But now, more than ever, I encourage you NOT to do that. Just like the end of a race, this is the time that you must dig deep and work hard until the end. Yes, you are worn out. For some of you the state assessments are complete. The kids are ready to quit. But who said that this job was easy? Who said the end-goal was some state assessment? And since when do lazy students drive what we do in the classroom? We are educators and our job is to educate. From the first day of school to the very last. 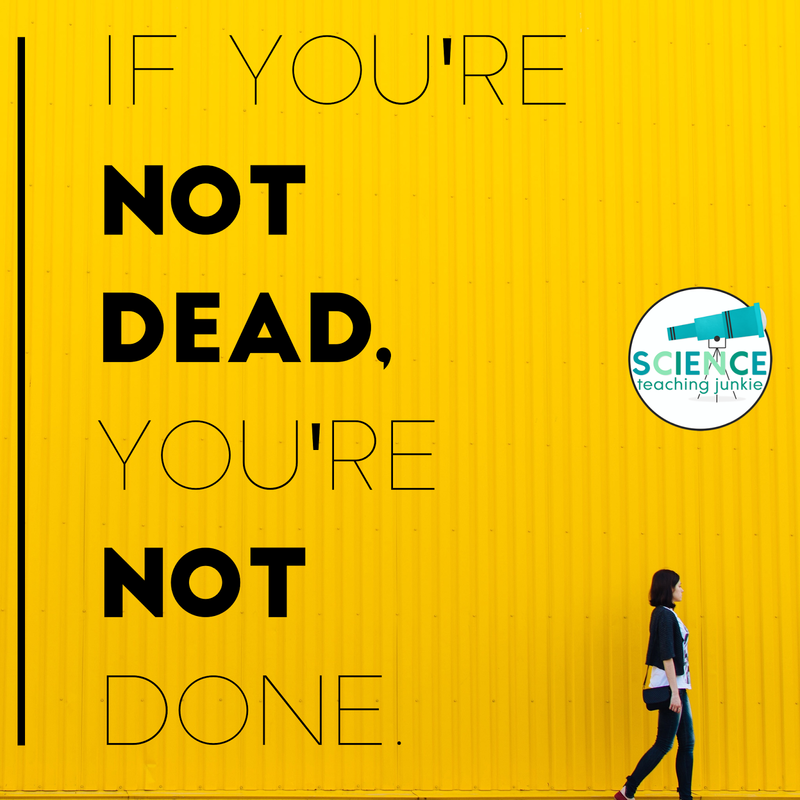 A wise pastor once said, "If you're not dead, you're not done." We got into this profession because we love kids, we want to and can make a difference, and we have knowledge that we want to share. And until we take our last breath, we won't be done with our life's mission. There is still so much to do, but who says you have to do it the way it's always been done? Since I can never seem to be content with what I already have created and have ready to go, in typical "Shayna fashion", I've completely re-vamped my STAAR review. In the past, my school has always implemented a "STAAR Boot Camp" in which we stopped all regular classes for 2 days, pulled in all of our science and social studies teachers (in addition to some generous math and elective teachers) and held intense, focused cram sessions based upon our weaker TEKS as a whole grade level. Students would rotate from a science room to a social studies room doing fun, interactive activities in hopes that they may retain some of the info a few days later on the STAAR Test.